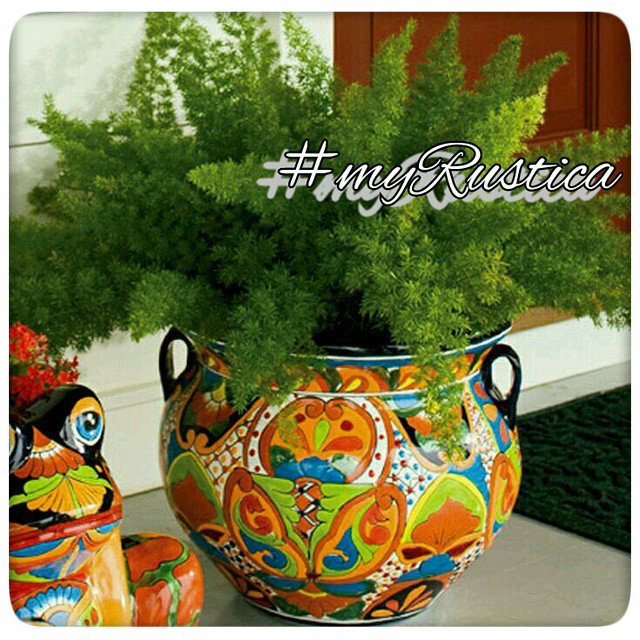 Start a garden that is as versatile as it is beautiful with Rustica House selection of talavera planters. We offer hand painted flower pots from Dolores Hidalgo in two sizes. Use Mexican talavera pottery outdoors for verandas or yards and indoors. In a warmer climate leave the pots outside of the house or on the balcony full year round. In Canada and Northern US bring them back indoors for the the winter as the cold temperature might damage them. Talavera flower pots have a small hole at the bottom center for draining access water.